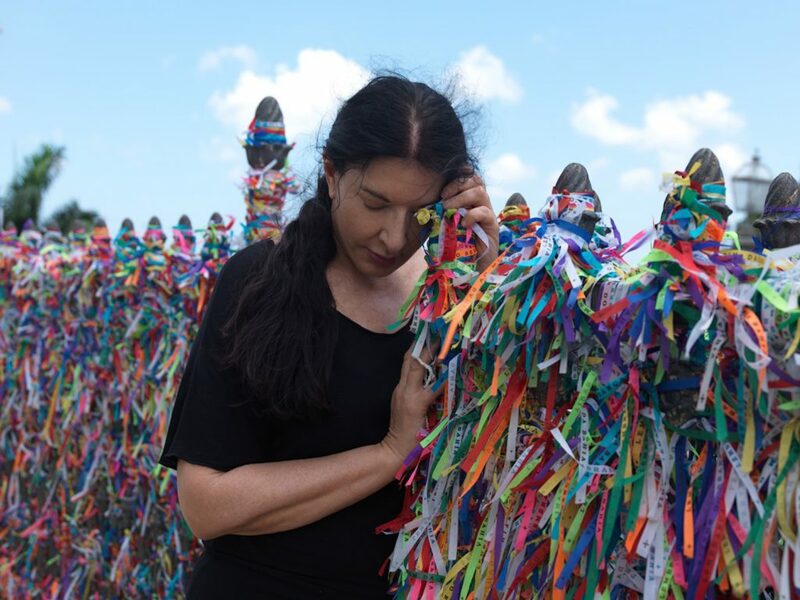 Marina Abramović returns to São Paulo on May 10 for the second preview of her eighty-six-minute-long documentary film by director Marco Del Fiol, “The Space In Between: Marina Abramović in Brazil” (Espaço Além – Marina Abramović e o Brasil). The film premiered in the US in March at Austin’s South by Southwest festival (SXSW) with a release in Brazilian movie theaters scheduled for May 19. It discloses the artist’s inner search among crystals and indigenous rituals from ayahuasca trips to voodoo ceremonies in a 6,000-kilometer journey in six states. Entirely made in Brazil, the documentary unveils a multitude of mesmerizing rituals and religious syncretism led by the artist renowned for breaking physical and mental barriers. 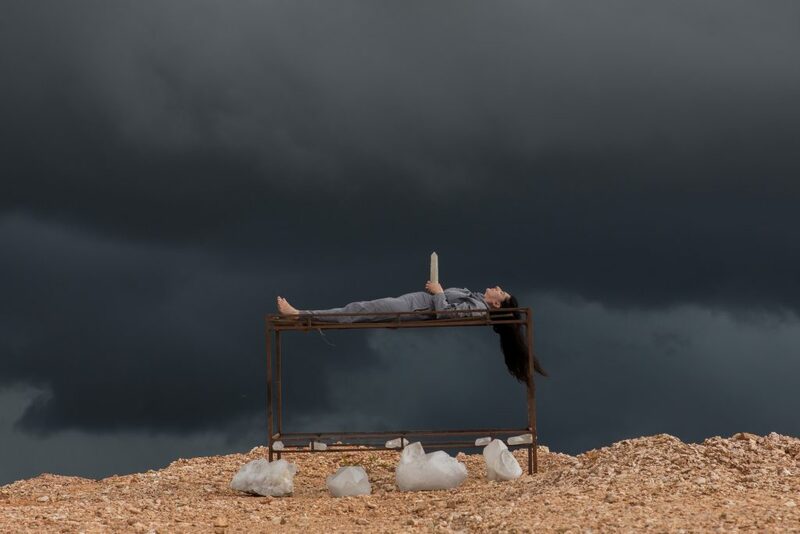 The project culminated in March 2015 in her largest retrospective in the Southern Hemisphere, “Terra Comunal (Comunal Land) Marina Abramović + MAI,” bringing crowds to São Paulo’s Sesc Pompeia. Now the cycle closes with this highly recommended digital documentary. In 1966, philosopher Theodor Adorno (1903-1969) prognosticated: “The frontiers between the artistic genres are now flowing one on to the other, more precisely: Their lines of demarcation are in a conflict.” The German theorist’s observation seemed to foresee the main contribution of Abramović’s future work. Since 1970 in her native Belgrade, she has literally devoted body and soul to broadening the spectrum of contemporary art. The question with this artist is always one: how far will she go next? 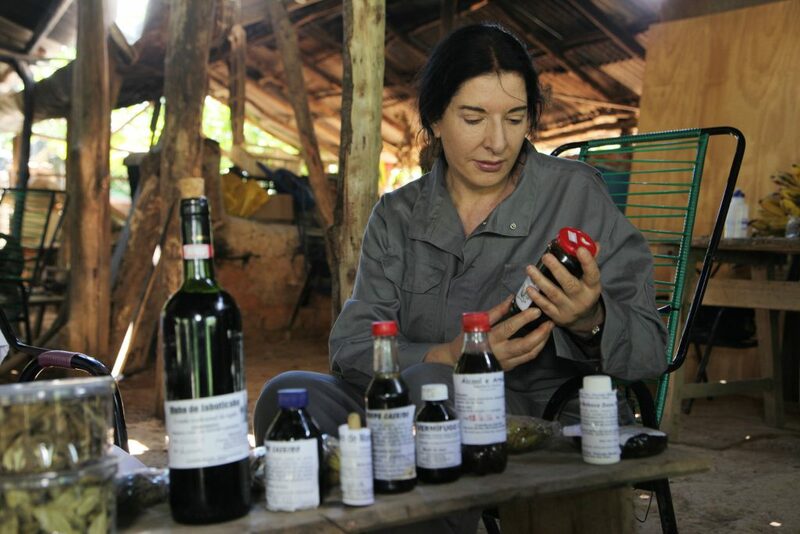 “It’s not exactly champagne” is her sneering reaction to the biting tartness of her ayahuasca debut under a pitch-black sky at Bahia’s Chapada Diamantina, a northeastern 15,000-square-mile no-man’s-land grand canyon. Since things don’t come easy to this intrepid dame of the arts, she sips the acrid brew, nothing happens, has a second go. In minutes the herbal hallucinogenic gets to her. “I’m peeing, shitting and vomiting” she cries, visibly shattered by the bad trip while her body contorts in a mix of strong pain and savage lust. “It was the worst thing in my life,” she says of the psychological and physical distress the day before while recovering from the violent purge in a silvery waterfall. One of the highlights is the visit to medium João de Deus. Known internationally as John of God, the former bricklayer had an enlightenment that boosted him into psychic-surgeon superstardom. He is based in Abadiania, a city on the map only because of his spiritual prowess. 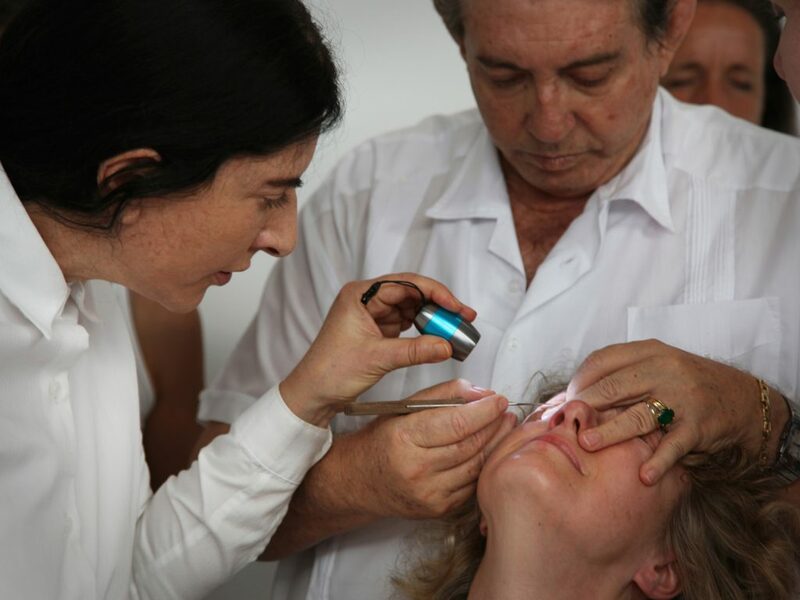 The movie captures Abramović enraptured by the kitchen knife surgery on a patient’s eye—no anesthetic, no gloves on the healer—which evokes the blade-on-the-eye scene of Mexican Luis Buñuel’s 1928 surrealist film, “Un Chien Andalou.” John of God’s spiritual healing center attracts thousands weekly from all over the planet. I first learned about him on a Los Angeles-São Paulo flight ten years ago. The California-born woman sitting next to me was excited about going to meet John of God but disappointed that I, a native, had no clue who this “god” was. In the syncretic state of Bahia, Abramović participates in a ceremony of candomble orishas typical of our African heritage and is very impressed with the black-and-white photographs of mythic Pierre “Fatumbi” Vergé (1902-1996), who captured Brazilian-African culture in his lens for more than fifty years. Later at a forest down south while being smoked by twigs and leaves, her naked body is massaged in a concoction of mud, seeds, herbs and chants. Boldly she has another go of ayahuasca. This time the drug proves to be a contemplative and serene experience. “I’m fascinated by rituals and its relation to performance. The connection is in transformation. Everyone needs to follow his own journey. There’s so much pain in the world,” she says. “I’m going to retire from the public. The public itself is the work,” she finally concludes. All images are stills from the documentary. 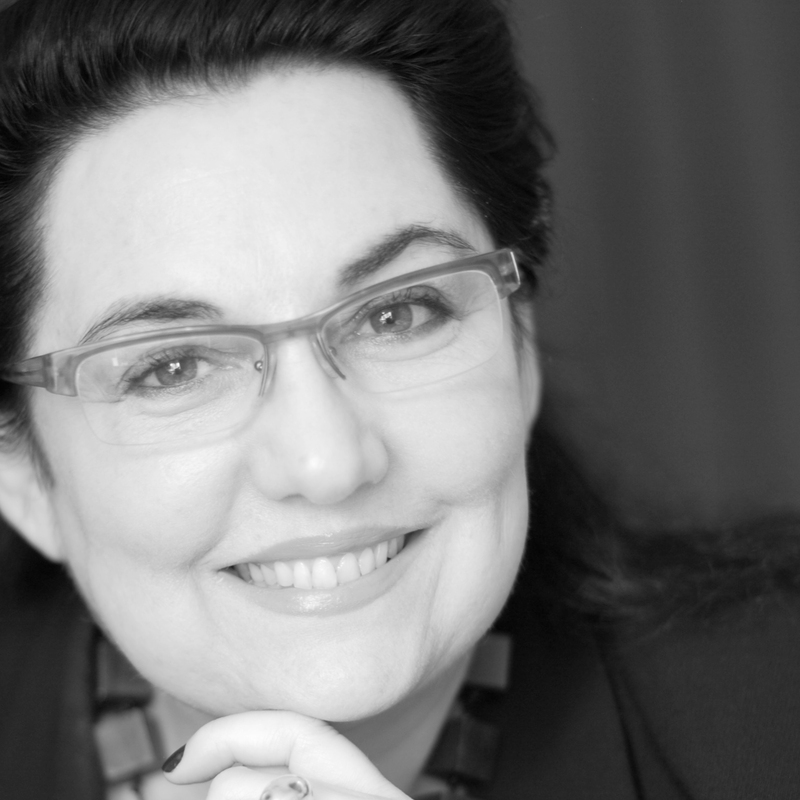 Among the producers is Luciana Brito, the artist’s gallerist in Brazil. See the official trailer below.